Hotel Vier Jahreszeiten really is one for the art buffs. The design of this Munich hotel is a masterclass in elegant interiors, with traditional heritage brought into the 21st century by adding some contemporary touches. You need only walk into the beautiful lobby to appreciate the artistic flair, but it gets even better after checking into one of the 297 rooms and suites, where warm colours and expert design create a truly luxurious city sanctuary. A stay at Hotel Vier Jahreszeiten puts Munich at your fingertips. Centrally located in this vibrant city, the stellar concierge team are full of handy recommendations on how to spend your days. For the culture vultures amongst you, no trip to Munich would be complete without a visit to the National Theatre Munich to see the Bavarian State Opera. 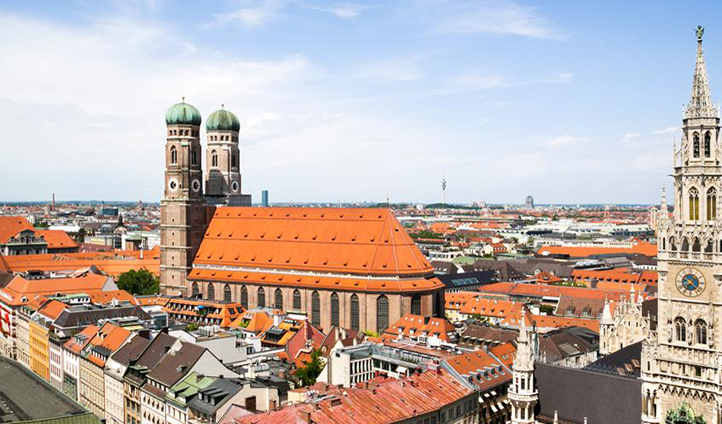 But if opera isn’t really your thing, there are countless other options such as the Englischer Garten, Frauenkirche Cathedral – or even the Allianz Arena. To reach the hotel, it’s just a 45-minute drive from Munich International Airport. Whether you opt for a room or a suite, you are guaranteed a luxurious space which is as comfortable as it is beautiful to look at. 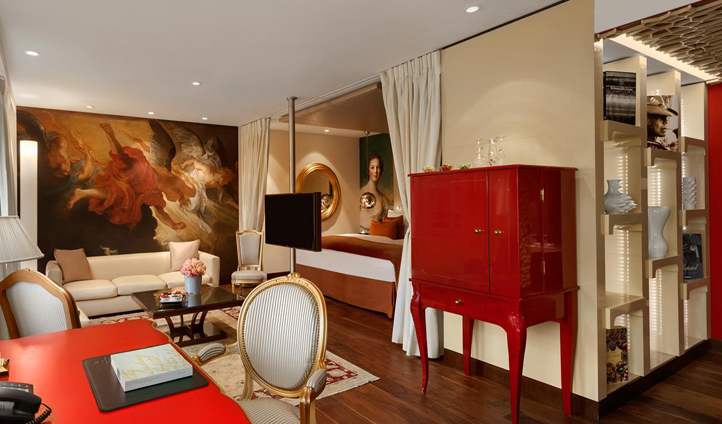 Some of the rooms even feature artwork on the ceilings – and art that’s best viewed in bed is our kind of art. With all the trimmings that we love here at Black Tomato, including king-sized beds, super fast wifi and iPads in all the rooms, Hotel Vier Jahreszeiten really does feel like a home from home. It’s not just the design of this hotel that’s got serious flair, but the food too. For a new take on Bavarian cuisine, Schwarzreiter is a must – but we warn you, expect the unexpected. Definitely try their signature dish of ‘Schmankerlklstn’, a traditional box filled with delicious Bavarian treats, or swing by for lunch for the ever changing, and ever surprising, dish of the day. It’s not just the restaurant that’s top-notch though. The Jahreszeiten Bar seduces anyone and everyone with its extensive cocktail list (we fell prey to a delicious Rhubot), while for something softer, head to the lobby for the ultimate afternoon tea with the help of the hotel’s resident ‘Tea Master’. Trust us, you’re a long way from bratwurst and sauerkraut here.